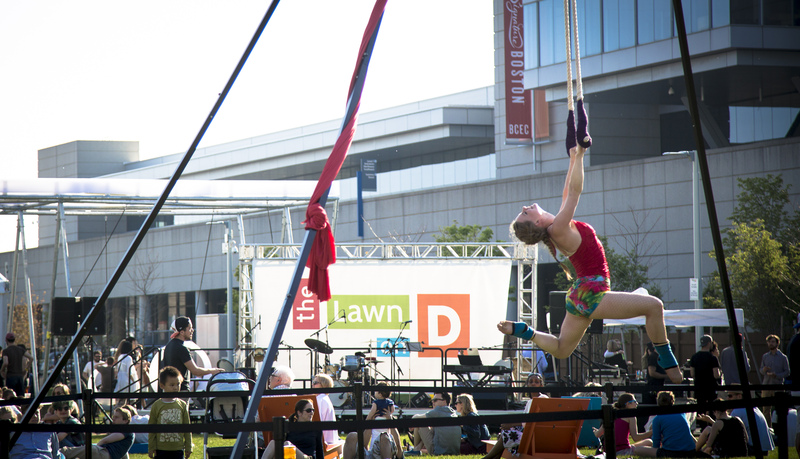 The Lawn on D, an outdoor event space in Boston’s Innovation District, reflects the unique and changing character of the surrounding neighborhood. 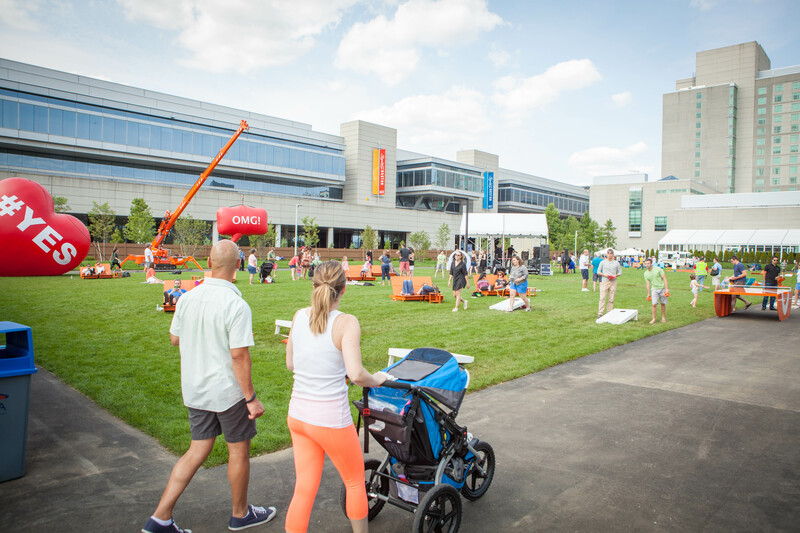 The 2.7-acre public space is owned and operated by the Massachusetts Convention Center Authority (MCCA), who will eventually expand their facilities and programming into the space permanently. In the meantime they are using LQC strategies to test possible interventions that will facilitate community engagement and nurture local arts. 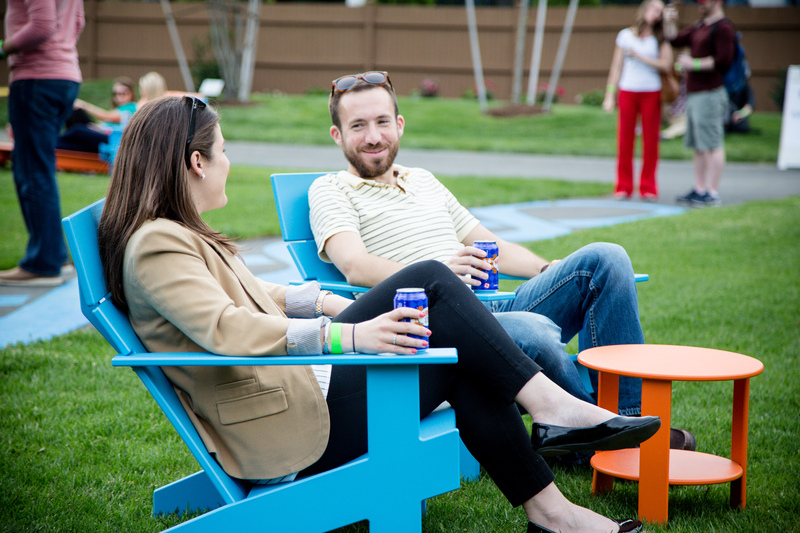 The initial installation on the Lawn opened in August 2014 and consisted of colorful seating, lounge chairs, picnic tables, public art exhibits, a bar under a large white tent, games such as bocce and ping pong and free WiFi access. The space was heavily programmed with performances, live music, food trucks and frisbee tournaments. 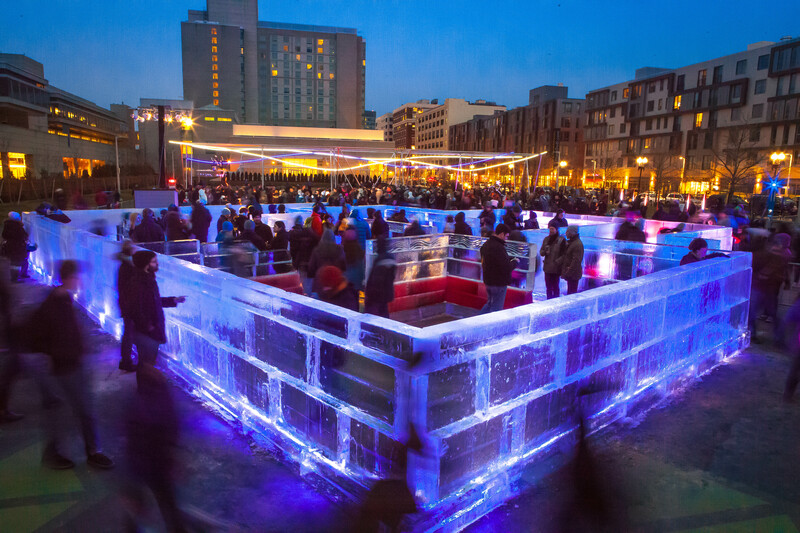 In the winter months, The Lawn on D hosted a series of seasonal events and amenities such as a giant maze made out of ice blocks, organized snowball fights, and food trucks serving hot chocolate. There was even a two-story snow hill on which skiers and snowboarders could perform tricks. 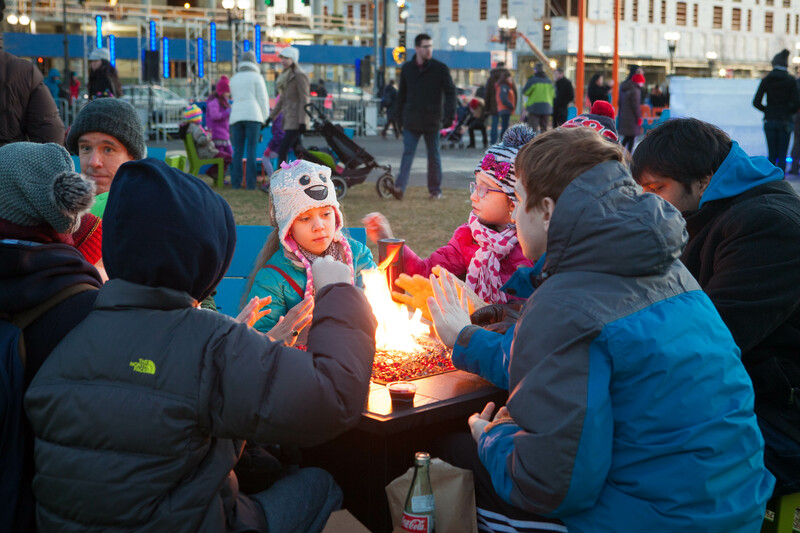 Since its unveiling, the space has become a center for cultural events and socializing, and because it is equipped with various amenities and a range of programing including childrens activities, sports, places for relaxation, a bar and performances, the space meets the needs of diverse Bostonians.